Here's an interactive list of the 25 best ad servers for advertisers and publishers. Compare Features and Pricing. 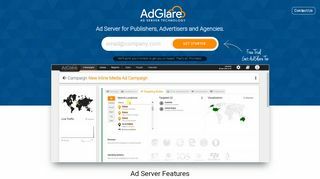 In this list: AdGlare, Adzerk, DFP, Zedo, AdButler, Google Ad Manager, Revive Adserver and 18+ others. PHP Ad Server Script, to be installed on your own server. PHP Source Code can be purchased. Also provides a DSP, DCO and DMP. Separated by a semicolon, so that you can use it in your CC or BCC line. 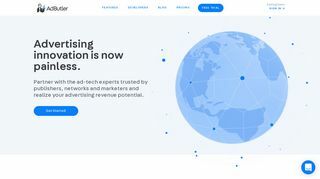 Ad server companies that you've filtered or hidden are not included in this list. Disclaimer: Although this list has been created with care, accuracy cannot be guaranteed. It just allows you to make a comparison of the best ad servers for your budget and situation. It's strongly adviced to contact the third-party before making any purchase.